1. Being asked to give a ‘quick-fire trigger talk’ as part of a Presbyterian Church in Ireland (PCI) gathering of church leaders, youth leaders and others reflecting on contemporary challenges around discipleship. It was a really good day organised by Rick Hill Discipleship Officer of the PCI (and MA grad of IBI), with lots of good input and discussion. 2. 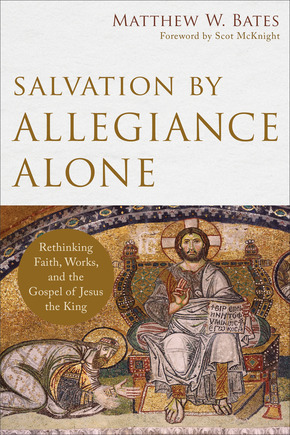 Reading Matthew Bates’ outstanding book Salvation by Allegiance Alone. The fun part of a short talk is that you get to do what you tell students not to do: make deliberately provocative statements without following the niceties of detailed academic substantiation. The point of the talk is to raise issues and get open discussion going. This is not to say these are random thoughts. They come from thinking about faith, gospel and works in teaching and preaching over a lot of years. It’s also drawing on what Bates does with crystal clarity. 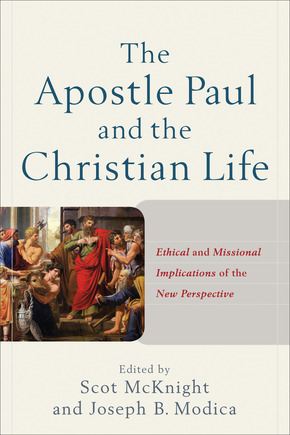 He articulates a persuasive case for how themes of faith, gospel and works operate within the New Testament – from Jesus to Paul, John and other authors. Here are 7 thesis statements with brief notes. Feel welcome to comment – whether agree, disagree or discuss …! THESIS 1: We have a major problem with discipleship in the West – and to be specific within the PCI. Discipleship is patchy: in prayer, giving, service, training, Bible reading and study, evangelism, and a passion for holiness. Attendance is plummeting within denominations in the post-Christendom era, including the PCI. Membership is getting older. I can’t prove this, but formerly high levels of nominalism within Christendom are now being revealed within post-Christendom. The cultural pressure to ‘go to church’ has evaporated. Perhaps contemporary members are more committed and serious than many in the past? And there are lots of good things happening in various places, but no-one I talk to is bursting with optimism and confidence about the future of the institutional Church. We can easily fall into the trap of imagining that ‘if only’ we got things right, that the Church can return to its former ‘glory’. Getting things right tends to mean things like having more attractive services, youth and children’s programmes, modern buildings etc. But reliance in externals is just rearranging the furniture. Something more fundamental is at issue. Treating symptoms is not going to address the root cause. Neither is the solution dependence on pragmatic models of ministry. By this I mean adopting models of discipleship based on x principles of how Jesus made disciples and if we do the same mature disciples will result – as if discipleship is a nice easy recipe to follow and if we keep to the instructions – bingo! Some discipleship resources seem to owe more to management strategies for growing a business than they do to the teaching of the New Testament. We need to think primarily theologically when we think about discipleship. So what’s the theological problem? Let me suggest it includes a superstructure of half-formed assumptions and misconceptions about both the content of the gospel and a proper response to the gospel (faith and works). For various reasons there are deeply embedded and damaging popular misunderstandings of how gospel, faith and works are understood that distort both the way the gospel is talked about and how a proper response to that gospel is framed. This impacts both how discipleship is understood and how it is prioritised and practiced. What is faith? At what is it directed? How does it ‘work’? These are very big questions indeed. Just have a read of Galatians for example to see how crucial a place ‘faith’ has within the argument of the letter. ‘Faith’ is clearly the key to Paul’s passionate appeal to the Galatians to come to their senses – but what does he mean by faith? Or an ‘ABC gospel’: Accept. Believe. Confess. For an earlier post on ‘gospel lite’ versions see this. Artificially separate the relationship between grace and works (former makes the latter of secondary importance and of no soteriological significance). Mask what Christians are actually saved for (little or no space for the necessity of personal transformation and growth in holiness and Christlikeness). Faith is opposed to works due to the ‘anxious Protestant principle’ of not importing works into saving faith. Grace tends to be set against works as well. Grace invites, but does not obligate. Works (discipleship) happen as a fruit of faith: a secondary cause. But the real hard lifting has already been done (forgiveness, salvation, assurance, justification) by faith. Sanctification is secondary. Some propose that ‘works are the fruit of faith’. But this itself is not how the Bible talks about faith – works are intrinsic to saving faith. We are judged ‘according to our works’. No-one is rejecting the central place of faith. Take Ephesians 2:8: It is by grace you have been saved through faith. But what does faith mean and how does it work? Matthew Bates (and others) argue that pistis has a wider semantic range than in popular models outlined above. Pistis includes faithfulness; loyalty; fidelity; or as proposed by Bates as allegiance to the risen Lord. Faith here is best seen as a personal commitment for all of life. If this is the case, Bates proposes that when it comes to discipleship we would be better off dropping faith language altogether in order to try to get back to what Scripture means by pistis. In brief, the gospel is about the good news of Jesus the resurrected Lord and King. The gospel is therefore first and foremost Christology that calls for a response in faith to a person (not an abstract idea). Salvation is past present and future, lived out in hope of resurrection life in the new creation. Bates proposes it has three inter-related themes. John Barclay comes into the story here with his magnificent book Paul and the Gift that I posted on here and here and here. He has shown how grace in the NT world is more subtle and complex than theological systems (both Protestant and Catholic) have often allowed. Certainly for Paul there is no problem in expecting grace involves reciprocity. Whereas ‘gracism’ that says that free grace ‘requires nothing’ is an alien concept to the NT. This is not to say that salvation is not utterly and completely due to the grace of God. We cannot save ourselves. There is forgiveness and new life in the Spirit through confessing and repenting – turning to Jesus Christ in faith. But God’s grace is not opposed to a response of embodied obedience. Grace is not opposed to works, it leads to works shaped by loyalty and action in the world. It is opposed to merit. How we understand gospel, faith and works (and discipleship fits in the category of works) will have practical implications for how we think about evangelism and discipleship. However you read the NT, any idea of ‘easy believism’, or ‘cheap grace’ is utterly alien. Both Calvinists and others should agree on this. Believers have assurance built on the person and work of Jesus, but since only God knows all we should be wary of offering any blanket easy reassurance. What does ‘successful’ discipleship look like? And how can what goes on at church foster development towards that goal and vision?